Each family has been assigned at least one date to assist in either preparing dinner for our teens, or assisting with a reception that follows our Confirmation Masses (families with 9th graders only). Also, some of our Edge families have been assigned to help setup and chaperone during an Edge night. Only one parent from each family is needed on the date(s) your family is assigned. If your assigned date(s) doesn't work for you, use Sign-Up Genius' tools to "REQUEST A SWAP" with another family. Check any and all dates that work for you and SUG will send an email alerting other families of your request to swap. You do not need to know the families you are requesting to swap with. Send the request to all families on the dates you are available. You will receive a reminder from Sign-Up Genius 5 days before your assigned day. You will also receive instructions for meal prep via email a couple of days prior to your date and a copy of the instructions will also be posted in the kitchen. FOOD & FELLOWSHIP is always a good thing, and helps kick off each Sunday night on a fun (and tasty) note! The tentative menu for each week will be available on the website soon. 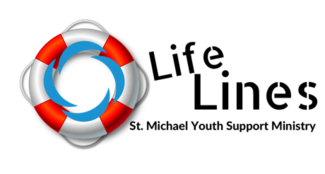 Thanks in advance for your assistance and support of our youth ministry program! Please contact Teresa Eastep, (804) 314-7770 with any questions.